1 How To Make A DIY Water Filter? 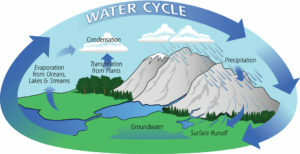 2.2 What Is The Water Cycle? 2.3 How To Find The Right Filtering Solution? 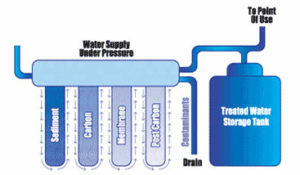 A water filter serves as a physical barrier, which prevents contaminations, thus purifying the water. 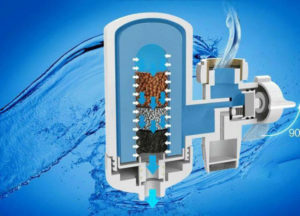 There’s a variety of filters which filterless or more particles than others depending on the purpose of the filtered water. It can be used for agricultural watering, everyday drinking water, public and private aquariums, or water for ponds and swimming pools. 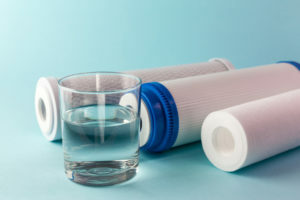 A lot of people are perplexed about the differences between filters for water and water purifiers as well as the dissimilarities between water filters and water softeners. However, it is most likely that this is because of some industries use these terms, because they don’t know how to distinguish them from one another, due to their similarities. This is one of the most crucial things you have to ask yourself to know later what kind of filtration do you want and need. We are all aware that at its purest, water is just hydrogen and oxygen also known as H2O. However, this doesn’t happen on its own, this is the end of a purification process. Through it, minerals and impurities along with chemicals are being left behind. Some of them, however, is good and wanted minerals such as calcium and magnesium, and others are bad for our health. For instance, sometimes the source of water we use can consist of traces from pesticides, industrial water, chlorine and even occasionally viruses and bacteria. They can all be filtered to a more delicate level if it’s needed. However, there is some extra stuff that you might want to remove from your water. Those things aren’t necessarily related to your health but play a vital role in reducing scale build-up and even prolonging the lifespan of your appliances. These mineral-preventing systems are known as water softeners. They are named like that because they decrease the number of hard minerals that pass through your water supply at home. How To Make A DIY Water Filter? 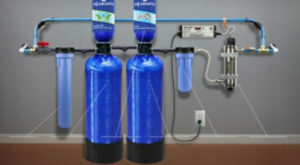 There are some reasons to why you might want to create your own filtration system, and some of them are that it is cheaper to make one for yourself than use a commercial one, or that once you make one you can always expand it as much as you want and can. Sometimes it even comes to down to a situation where you need to know how to make a water filter in the wild, such as if you were camping in the wild or you get lost in the woods, and you need to survive. We know that these are quite extreme scenarios, but they do happen. 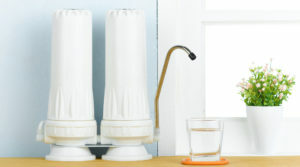 So we are going to help you understand how to build a DIY water filter. There are a few different systems that you can choose from. You start by turning upside down the gallon container. Then you cut a hole at the top so you can pour in the materials. The initial layer is gravel that is a rock shaped like pebbles which will keep debris and potentially even animals away. Then goes the sand, which will filter smaller contaminants that managed to get through the first layer. Finally comes the last segment, which consists of activated charcoal. It is helpful when trying to remove chemicals and pathogens that might linger in the liquid. This makes pure drinkable water. Keep in mind that you need to cut a hole that will let you pour the soil and the water through in the end. You can also alleviate it atop a catch basin. Apart from that you just made a DIY carbon filter. You can put even more materials that you find helpful and if you want you are free to change the design itself. There isn’t just one way of doing things. Distiller on the stove – This comes especially handy if you have an infant because you want to make sure you provide it with clean, pure water. Just make sure it is older than six months. This is a more difficult thing to set up, but once you do it, you will know how to extract liquids even from a swamp. Plus it can be done by some essential household equipment. 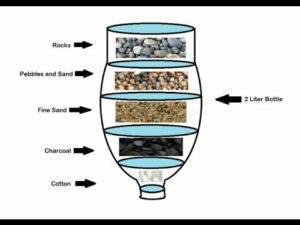 Just like what we did in the bio-filter, here you place the sand over the layer of charcoal. They must be in pieces when you put it inside so you can filter the water since this is the central purifier. The difference here compared to our first filtration system is that the water you get will be cloudy and undrinkable right away. You will have to boil it before you taste it. Boiling water – This is something straightforward, but quite frankly one of the most basic and essential steps that people usually overlook. It depends on a lot of things, such as the amount of water and heat source so you will have to feel it. The only thing to remember here is that once you bring the liquid to boil you need to sustain it for three minutes. Solar water disinfection – If so far you haven’t found a method to use, try the SODIS method or Solar Water Disinfection. Just like the name suggests all it needs is a location with a lot of suns and a container for the water. One minus on this process is that it can take longer for the water to be filtered, depending on the water sources. The first easy step is to expose the water you will be using, it should be in direct sunlight. On top of it, you need to put a thin screen, this will make sure no contaminants get in. If you the liquid is bright and clean it should take about two hours. If the source has caused the cloudy water to leave it for at least two days. Always keep in mind that by using this way the water may not be entirely pure. The best thing to do is to use two methods of filtration especially if you don’t have mechanical or chemical help. Even if the water has already undergone one system already it is still better to boil it before drinking it. Healthier – The most important and good advantage to having a filtration system for your water is also why they were designed in the first place, and that is because they remove any harmful and additional particles from the liquid. For instance tap water, which is one of the most common ways that people get their water from may have heavy metals, such as arsenic, mercury, lead, copper and many more. If these metals build up in a human body, they lead to really severe health problems. Eco-friendly – If you use filtered water, you don’t buy as much or any bottles; thus you produce less plastic waste. And in this field that is crucial because the bottled water industry is one of the top synthetic pollutants in the world. Taste – This isn’t something as important as the fact that such systems, purify your water from chemicals, but for some people, the taste of water can make it more pleasurable to drink. Gentle – This is at another scale, bigger than just drinking water. But if you decide to install a filter system for your whole house or just a shower filter, you would bathe in water free from chlorine and other chemicals. That means that the liquid becomes gentle on your hair and skin. Some filters even decrease lime-scale, which is really beneficial for people who live in areas with hard water. Emergency – No one wants that to happen but sometimes when huge disasters occur people don’t have access to water, electricity and other stuff for a while. For instance, in February 2018 an ex-cyclone hit New Zealand. The damaged that was caused by some towns and cities left people without access to the essential thing. Even after the pipes were fixed, and the water started running, the council still warned the public to be mindful and indeed boil their water before they drink. This is because any risk of bacteria such as E.coli being the water can be removed after cooking it. In their case, during that time there were a lot of rain fallings in a region where freshwater mountain streams and creeks can be found. Having such simple access to quality water filter at a time such as this one, lets an individual collect external water and purify it. Time – Depending on which method you are using and the situation this can be a life and death disadvantage. 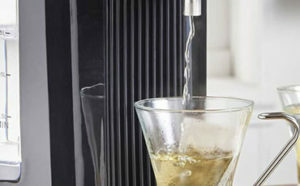 Maintenance – If you have bought a filter or you have a DIY water filter thanks to one of our recommendations, always keep in mind to check its condition. Sometimes you might need to change filter cartridges or just to clean and sanitize them. You will need to do that occasionally or even often to get the best filtration and to prolong the lifetime of the appliance. One might not be enough – One filter alone doesn’t provide the best results of purification. Instead, you should aim at multi-stage filter systems. They combine different methods and media, but before you buy and you have to determine which issues do you have with your water and which do you wish to address. If you’re looking for a water distiller and need help sorting them all out, our reviews below should help. 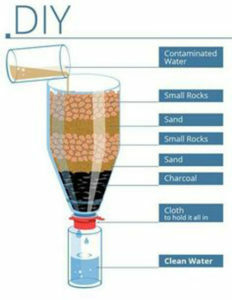 Children would love doing a homemade water filter. It is a simple task, and it will educate them about what’s the water cycle by doing a hands-on experiment just by using materials that can be found around the house or outside. Naturally, Earth, our planet, filters water as it absorbs it into aquifers in the ground. Just like our DIY water filters, the natural soil of the ground refines animals such as insects, plants and other debris out of the water. This is part of the infiltration process of the water cycle. Sadly, because of what we humans do on our planet and the way we poison it. Groundwater becomes contaminated and unsafe to drink before it comes into our tap, due to all the pollution such as lawn care products or fertilizers and household chemicals. Everything ends up in our water. Read on to find the list of the most popular portable water filters ever. How To Find The Right Filtering Solution? 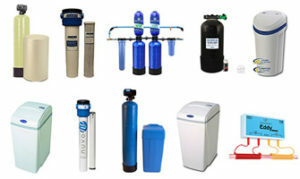 There are several alternatives when it comes to filtration systems of water. But it is essential to know which one you need depending on your situation. Now we will tell you how to check the water’s quality. Firstly be aware that there are a couple of ways of learning that. 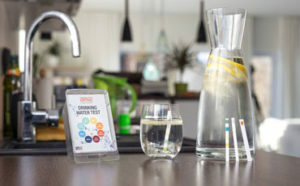 You can use a test kit, your sense or get a water quality report. Apparently, the most accurate one is the last one, but it is also the more expensive option. If you are interested in the sensory determination to be aware that this testing method isn’t as accurate as using a test kit, but it can provide you with some more fundamental and valuable information. We will skip through the part where you are trying to find a suitable kit and instead look at what you need to search for in the water. When we talk about the quality of the water that means we are referring to the concentration of any contaminants in it. They aren’t just limited to heavy metals, pesticides, viruses, chlorine or bacteria. The quality is also influenced by its Ph. Once you read the instructions set out in the kit’s manual, continue with the test. Following what you read in the plan expose each test strip to the water while keeping it immersed for the time given to you. Then remove the piece from the liquid and shake it until there are not more drops. You will need to wait sometime before you compare the color on the strip to the color chart. Obviously, we have more than one sense through which we recognize the world, for this test you can smell, taste and look at the water to determine its quality. Smell – Different smells can indicate a specific chemical being in the water. For instance, if it had a bleachy smell, then your local facility which treats water probably uses chlorine as a measure of disinfecting the water. This smell might disappear when exposed to air. If you get the smell of rotten eggs, that shows that somewhere on the way to your faucet the bacteria has grown. To pinpoint where it can be growing, wait for a few minutes, then try again. If there is no sulfurous smell, then it’s probably from your drain. What you can do is just get it cleaned. However if both your cold and hot water smell like that, and it doesn’t stop even if you try it from another room, that means it’s coming somewhere in the municipal pipes. If the smell you sense is somewhat earthy or musty, it’s most likely due to decay or decomposition, overall an organic matter. Just like with the last example, you have to fill a glass of water and take it in a different room, this way you will be sure if the smell isn’t coming from the drain. In the case of this odor it is just bothersome, but not something harmful. Taste – A critical thing to take on from here is: never swallow the water if it tastes foul. In case of a metallic taste, it can be from a low Ph level or a high level of minerals. If there is a heavy bleach taste, then just like the smell it shows it’s been treated with chlorine. If you can sense salty, it shows that it might be sulfates or chlorine ions. That would indicate an industrial or irrigation drainage. Sight – After you fill a glass of water you have to hold it up to the light. You should search for cloudiness or any particles that float. For instance, if they are red, brown or orange colors, they can be from corrosion in your pipes. If the particles are black, they might be from the hoses the water came through. Chlorine can make hoses frail because they deteriorate over time. In the case of white colored or tan particles or just cloudiness in the glass that means you have a high hardness level. That is usually driven because of too much magnesium or calcium carbonate. You have to look thoroughly at the color of the water. Let the tap water run for a few minutes, if there is any buildup, it will pass. Then fill a glass of water and hold it to the light. If there’s any discoloring or brown/ murky colors, that means there is contamination. It could be because of rusty pipes, pollution in the upstream or something other than that.